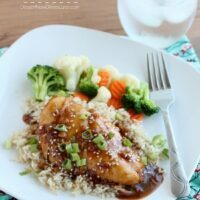 Crockpot Asian Sesame Chicken - Dessert Now, Dinner Later! 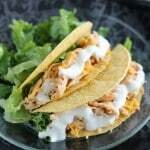 I know we had a crockpot meal post just a couple of days ago, but it’s summer, and you need these dinner ideas, okay? 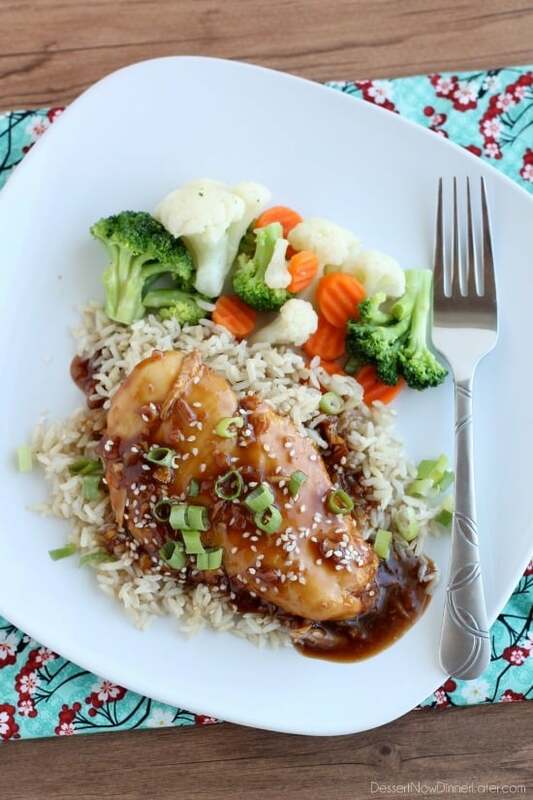 This Crockpot Asian Sesame Chicken doesn’t need shredding, although you could if you wanted, and it’s nice and saucy to put on some brown rice and mixed vegetables. 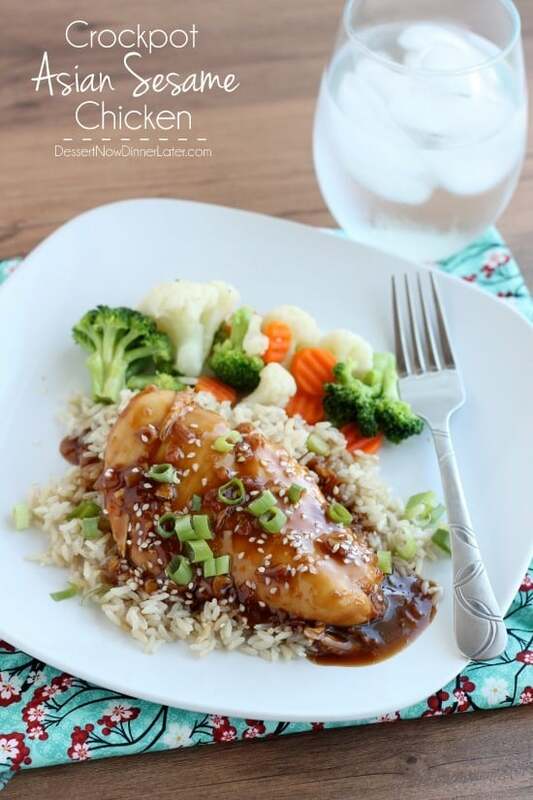 I was actually really impressed with this meal because we all know that crockpot dinners don’t look the most appetizing all the time, but with this one, you cook the chicken by itself, drain the natural juices from the chicken, and then add the sauce until it’s hot. That’s why it’s so thick and glossy looking, instead of thin and less appetizing. So anyway, this Crockpot Asian Sesame Chicken uses my favorite Kraft dressing, Light Asian Toasted Sesame, with a few extra ingredients. 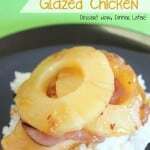 We loved this easy meal and already have it on the menu again! Enjoy! Cook the chicken in a crockpot with a lid, on high, for 3 hours. After 3 hours, drain the juices from the crockpot. Mix together the Asian Toasted Sesame Dressing, Apricot Preserves, and Dry Onion Soup Mix. Pour mixture over chicken, cover with the lid, and cook on high for another 30 minutes, or until heated through. 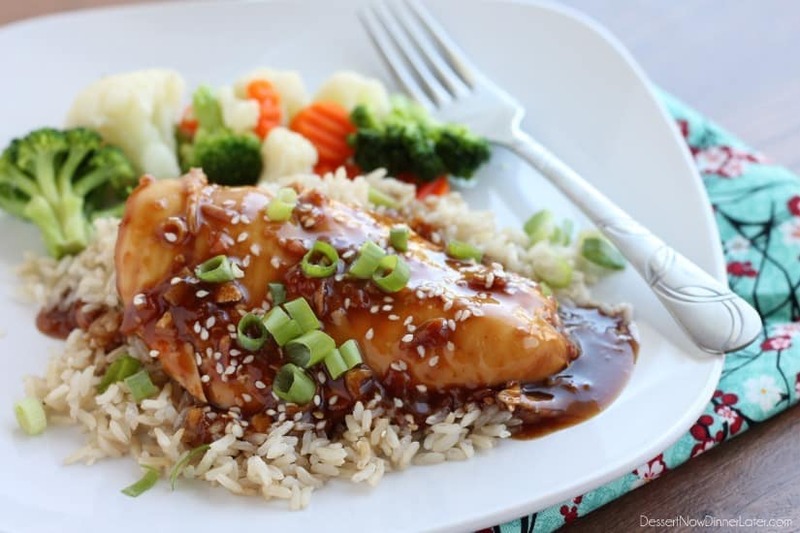 Transfer chicken to a plate, spoon some sauce on top, and sprinkle with Sesame Seeds and Chopped Green Onions. 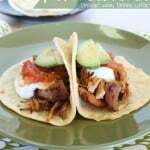 Recipe from The Frugal Girls and re-written in my own words. 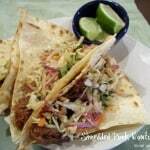 I love a yummy crock pot recipe!! Thanks Amber! This looks delish! I love me some sesame chicken. Pinned! Such a good reminder that I need to use my slow cooker more this summer! And agreed, most slow cooker recipes don’t look this great. Kudos! I need to use my crock pot more in the summer! This looks like a great meal! I do love my crockpot! Thanks Jess! Too much sodium. Too bad cuz it looks yummy. Most Asian dishes are that way. Sorry! After you drain the juices from the chicken, where do you with the juices? Oh, you just discard the juices (throw it in the trash or sink). Sorry about not clarifying that! Could you cook this on low, and for how long? It’s going to depend on how thick your chicken breasts are. If they are thinner maybe 4 hours, if they are thick, up to 6 hours.